Explore Nainital's surroundings by going to Jim Corbett National Park (Corbett Falls & Garjiya Devi Temple), Mukteshwar (Mukteshwar Dham & Chauli Ki Jali) and Bhimtal Lake (in Bhimtal). The adventure continues: explore the activities along Nainital Lake, contemplate in the serene atmosphere at Hanuman Garhi, walk around Eco Cave Gardens, and look for all kinds of wild species at Pangot and Kilbury Bird Sanctuary. 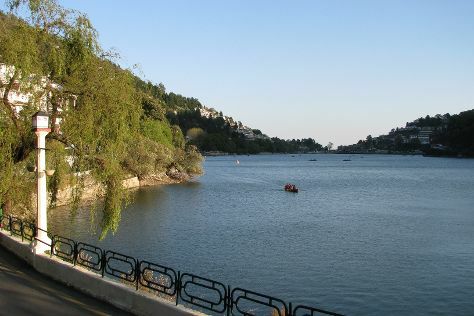 To see ratings, more things to do, reviews, and more tourist information, you can read our Nainital trip itinerary planner. Cap off your sightseeing on the 8th (Sat) early enough to travel back home.